Posters announcing theatre plays of the Voila Ensemble, Frankfurt. F.e. the first poster - the one in green - is anouncing the play Henceforward by Alan Ayckbourn. 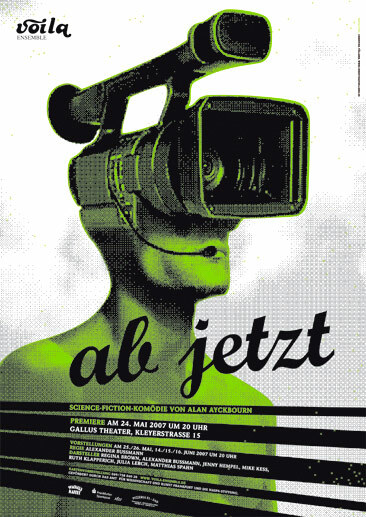 In this science-fiction-comedy the leading actor is communicating with the outside world by using a video camera.